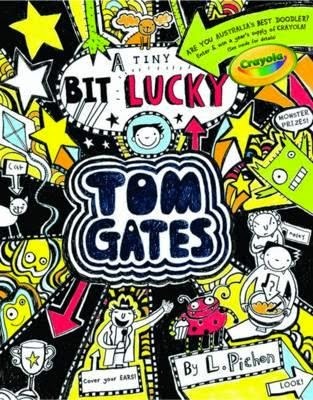 Everyone including me should have read and loved the series of Tom Gates. Now brings a new book. It's about Tom wanting a dog so he can walk it, instead of other things he does not want to do. However, Tom's annoying sister Delila, is allergic to dogs (of course she is!). Once again, Liz Pichon always takes a step further when creating books. She is extremely creative, which I like, and the nice little illustrations are really equivalent to the words. Gosh, she is so creative, even I am jealous with the book's ‘doodles'. Also, Liz doesn’t put a boring, old cover on the front of the book. She takes her time to make a wonderful cover, and it's worth it. All this is why I choose her as one of the most creative authors I know. The price is about $16.99 and age recommended age is 8 - 12 but other ages would love it, too.